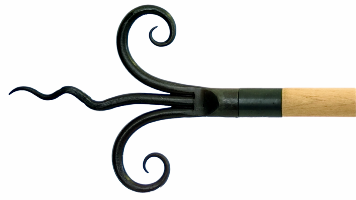 Black steel tube with wrought iron finials and fitments. 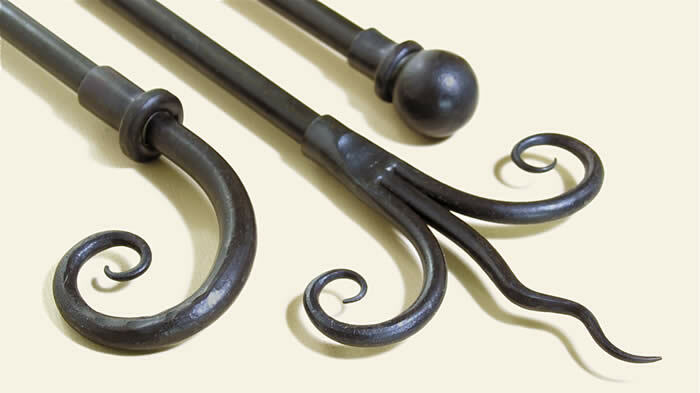 Black waxed solid steel or hardwood poles with hand-forged wrought iron fitments. 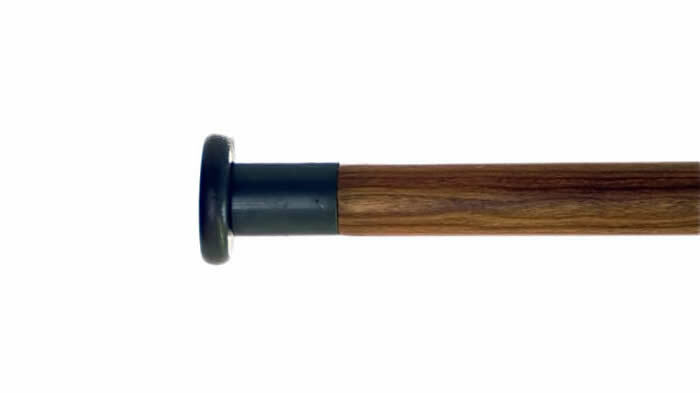 Oiled Solid Hardwood poles available in Ash, Maple, Oak, Cherry, Sapele & Walnut. Made in Devon these products won "Decorating Product of the Year" in the National Homes Award 2005. 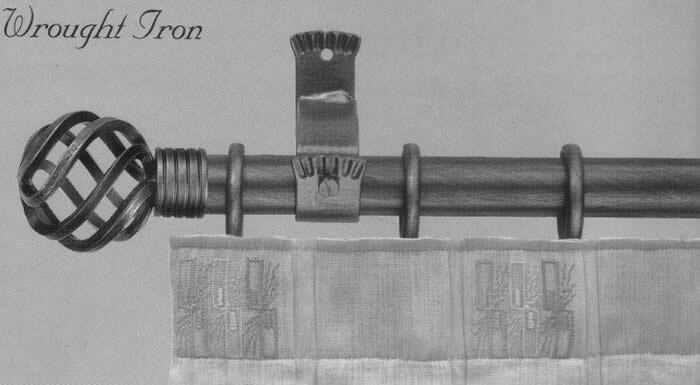 Poles can be bent and supplied with passing brackets and rings as required.